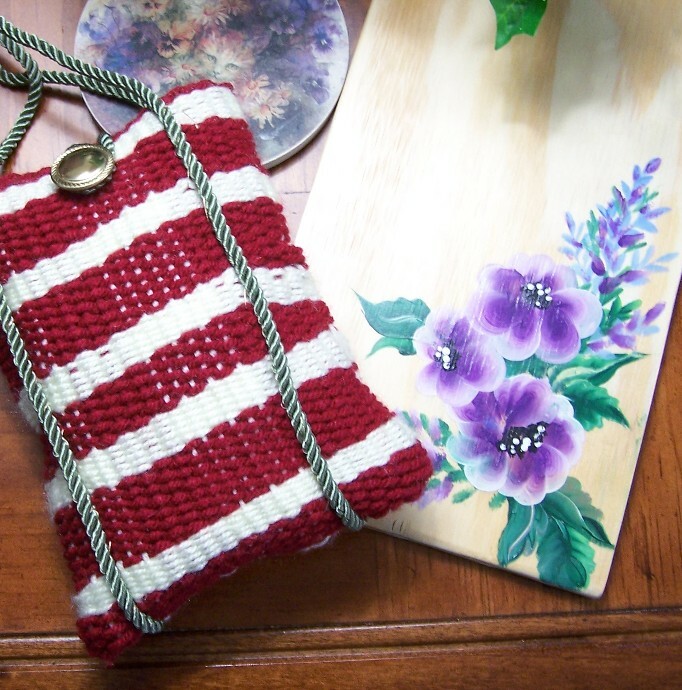 When I finished a little bag on my Pocket Weaver, I wanted to finish it as a small purse/bag. 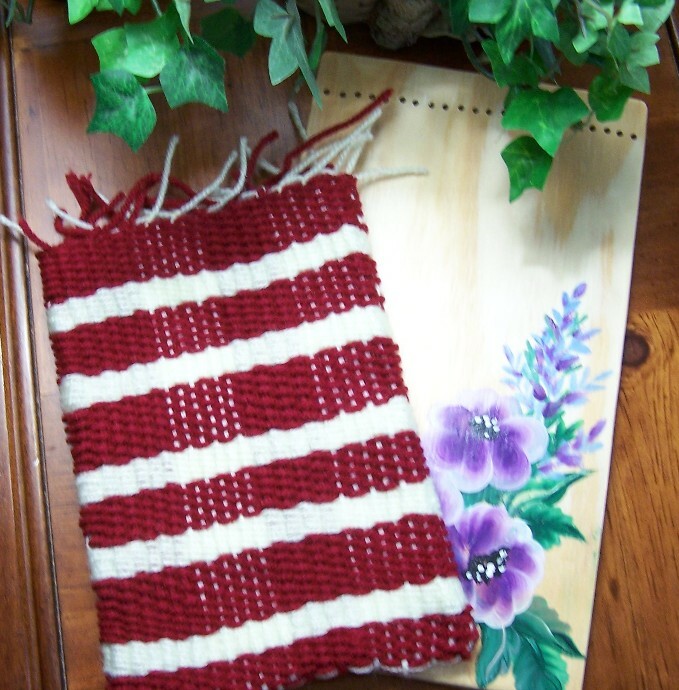 The woven bag, tied off and removed from the Pocket Weaver. The lining was cut after drawing around the bag to the correct size, sewing with 5/8″ seam and allowing 1″ extra at the top of the bag. The seams are trimmed to approx. 1/4″ and the corners are clipped. 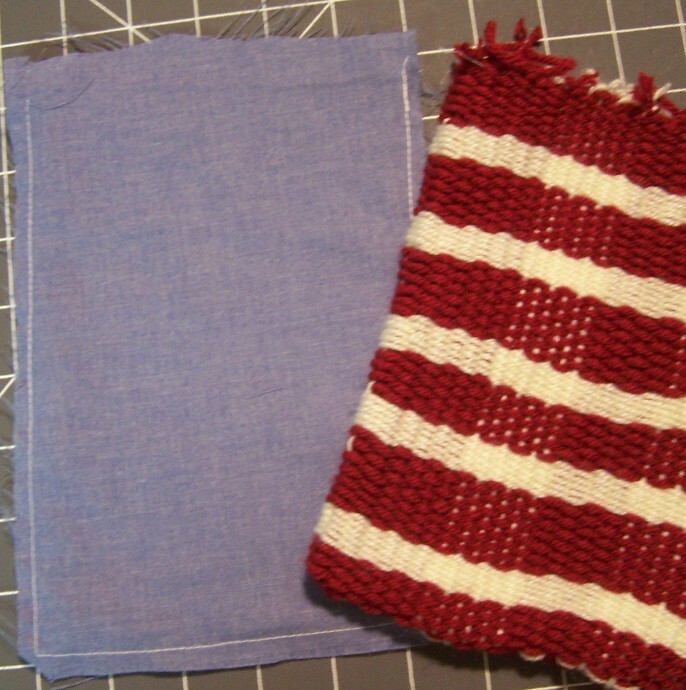 Take note of these two pieces… The woven bag is turned with the right side to the outside and the lining is left with wrong side to the outside. With right side of woven bag to the outside and wrong side of lining to the outside, insert the bag into the lining. If you are inserting tags to hold a handle of some kind…i.e. chain, braid,leather… this is where you would sew it in. Place to the inside between the two pieces in the positions you decide are the best and pin in place before you sew. 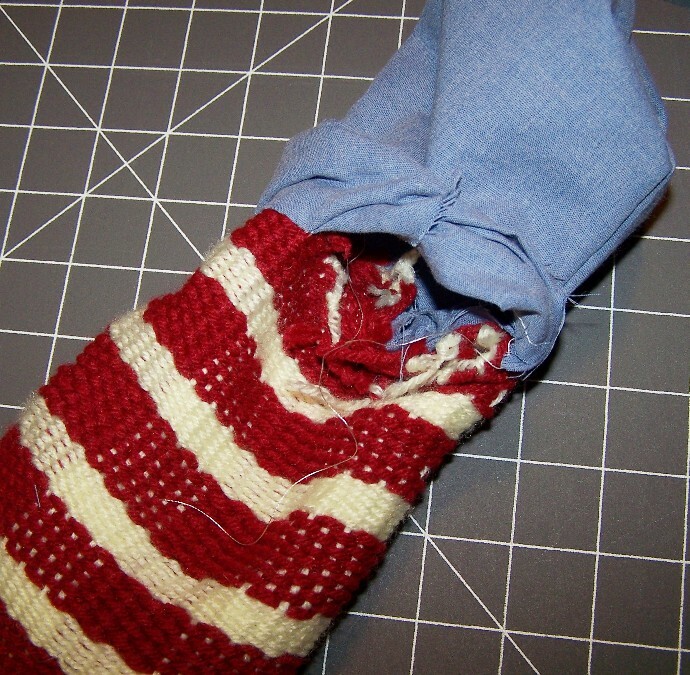 Sewing from the inside, sew the two together using approximately 5/8″ seam around approx. 3/4 of the bag. Leave an opening large enough for both pieces to turn through. As you pull each piece through the opening in the seam, turn each piece inside out…this will put the seams of both pieces to the inside and top seam to the inside. Slide the lining down into the bag.. 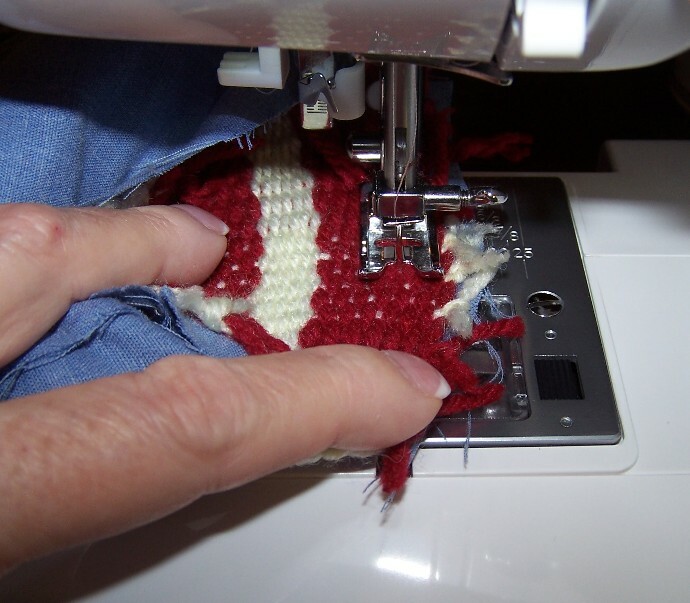 Turn the lining to the inside at the opening, pin to the purse/bag and hand sew with a blind stitch to the purse/bag. Since I forgot to add my closure, this is when I added it, then sewed all thicknesses. And this is the finished bag. I used a gold button (looks silver in the pic) and some braid cording as the straps. This way of lining a bag works with almost any bag and leaves a pretty, clean line at the seam. Thank you. I just finished a purse and needed to figure out how to put a lining into it. This was what I was thinking, so thank you for showing how to do it. You are so welcome, Judy. Thank you for this. 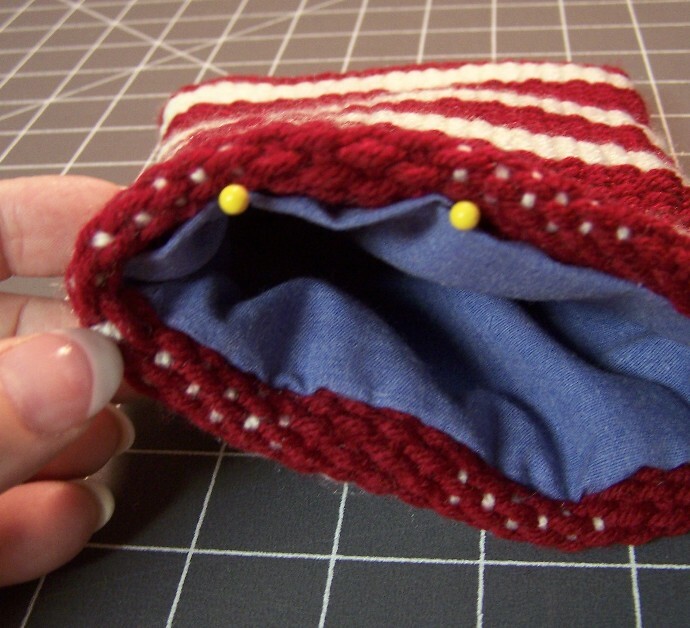 I want to knit a bag and put in a lining, but I’m intimidated by the lining part! 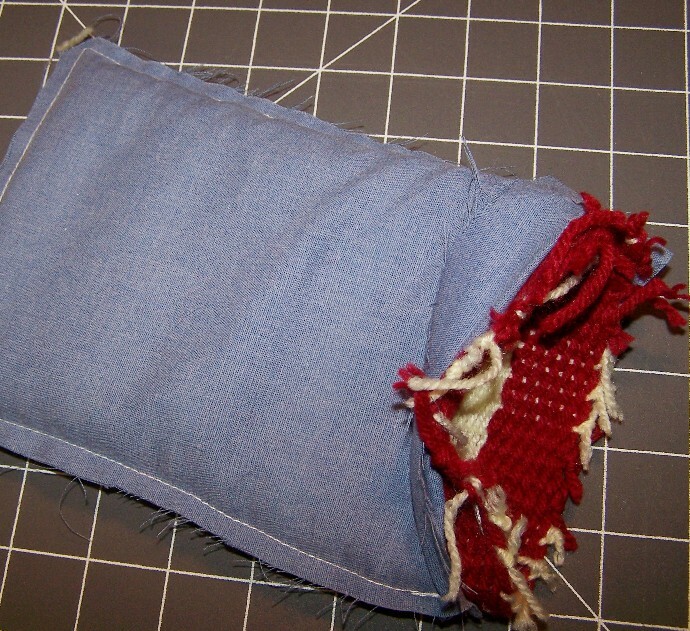 love it – same way I make linings for most of my purses, except the jeans ones. but I know I aam getting knowledge every day by reading tges pleasant posts. of it and I have you book marked to see new information in your website.